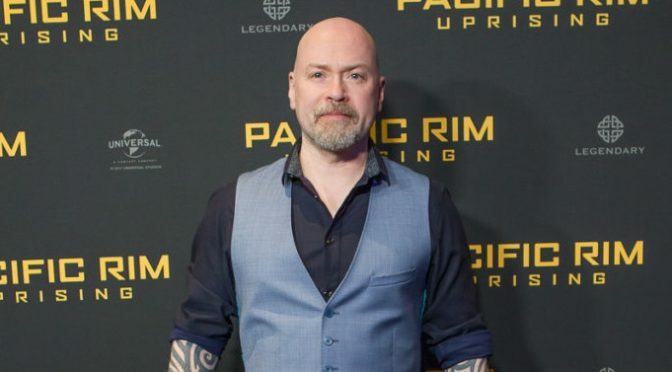 Spearheading a $150 million dollar movie sequel would be daunting for even the most experienced of directors, so you can only imagine how Steven S. DeKnight felt when he was handed Pacific Rim: Uprising following the departure of original director Guillermo del Toro. Best known as the creator, head writer, and producer of the Spartacus series, as well as duties on such fan favourite shows as Buffy the Vampire Slayer, Angel, and Daredevil, DeKnight is no stranger to the demand of the devoted audience, so how did he feel putting his own stamp on a world of Gods and monsters? Peter Gray chatted with the director during the Australian press run for Pacific Rim: Uprising to discuss how such a large production came to be. I saw the film the other week and you definitely captured the vibe of the first film, very unapologetic and unashamed to have fun with a big action spectacle – did you feel pressure coming into a film that already had an established predecessor? Oh of course! Especially one that was spearheaded by a man I admired for many, many years (Guillermo del Toro). I’ve been a huge fan of his ever since I saw Cronos. I just fawned over his films, and I read all the “Makings of” books… so yeah, there was definitely a lot of pressure to make sure I honoured the first movie, but also move the franchise forward. I believe Guillermo del Toro was planning on directing the film in the earlier stages of development, how was it that the sequel came to you? Obviously, Australia plays a large role both in front and behind the camera. Was there a specific reason in choosing Sydney to shoot? Well, interestingly enough I had written a script with my co-writers and we were trying to think of a place that would be immediately iconic and recognisable. We looked at a lot of different places but you just couldn’t beat the Bridge and Sydney Opera House by being immediately identifiable. Also, it appeared in the first movie so it was a nice connection. You have a great lead in John Boyega, who I also saw earned a producing credit, how did he become involved in the project? That’s an interesting story. Charlie Humman, who played Raleigh Becket in the first movie, he was originally contracted to do the sequel, so we wrote an entire script with his character as the lead. I sent it to (Production Company) Legendary and they read it the same day and they rang me up and told me they loved it, so I was thinking this was a lot easier than I thought it would be! I went to sleep that night feeling good, and when I woke up in the morning to check Deadline Hollywood – which I do every morning – it was announced that Charlie Hunnam is doing a remake of Papillion, and the shoot dates are right in the middle of when we have to shoot this. So that was a problem, but because of the schedules of the actors and the release date we started retooling the script, and then Mary and Guillermo came up with the idea of introducing the son of Stacker Pentecost (played by Idris Elba in the first film). We brought in a new writer and started working on this new version of the script with the son as the lead, and then we started discussing who should play him, and Mary suggested John Boyega. I loved Attack the Block, I loved what he did in Star Wars, so I thought he’d be great, but he’s already doing a giant science fiction franchise so would he really want to be a part of another one? He was already meeting with Mary in a general manner, so we had the concept art done up and she just placed them down to gauge his reaction… and he’s a huge anime fan, a huge giant monster fan, so he really wanted to do it! And when he signed on it kind of changed the whole dynamic of the movie. And Cailee Spaeney is definitely a find for this film, were you looking specifically for new talent when it came to her character? We were looking for anybody who could do justice to the role. We were about 48 hours away from doing a screen test, we had found two actressess, both with a lot of credits on their resumes, for the role of Amara, and we had John Boyega ready for the screen tests as well… and then our casting manager contacts me and says they’ve received a self-audition tape and I should really check this out. It’s always best to have more than two people to choose from, so we flew her (Cailee) in from her little town in Missouri.., very much a wildcard, but her and John just immediately had this spark! With your television background you aren’t a stranger to special effects, but this film is obviously a grander scale, how did you find navigating such a large production? One of the greatest tools you have on a movie set, that usually isn’t afforded on a television set, is Pre-Vis. A stripped down, computer generated version of what you’re going to see – a rough blue print basically. In the old days they would have a tennis ball hanging there and the director would have to describe what the actor was seeing, but now with Pre-Vis you can show the actor what they’re going to look at. The film seems to both end on its own accord but also potentially set itself up for a third, are there talks of another film? Oh absolutely! As I was developing Uprising I was taking notes on the aspects I was setting up for a third movie. It was always planned, but a third movie very much depends on the audience, and if there’s an appetite for it. We have a story. It’s in the rough stages but we have a definite beginning, middle and end. Nowadays it’s becoming increasingly more obvious that the North American box office is no longer the deciding factor on whether or not a movie is deemed successful. International numbers play such a strong role in a film’s reputation, as seen first by Pacific Rim, do you see that as an indication as to where the industry is going for the chance for stories to continue? With a movie of this size obviously domestic box office is important, but it’s no longer the deciding factor. You could have great domestic numbers for this but if it fails internationally you won’t get another one. These films are massively expensive so you really have to play on an international level to warrant continuing a franchise like this. This was made with an international audience in mind, so I hope it does well overseas.